When you don’t feel loved anymore—because you squinnied the big bad wolf and his very sight and memory deluged all self-worth—when you don’t feel loved you are driven to find some place in your heart for yourself. If you can. Or if not in your heart, then somewhere. Some days, my sense of lovelessness is greater than my reason and there is nothing to be done but so-woe. But today, me, I find a way, however unlikely. 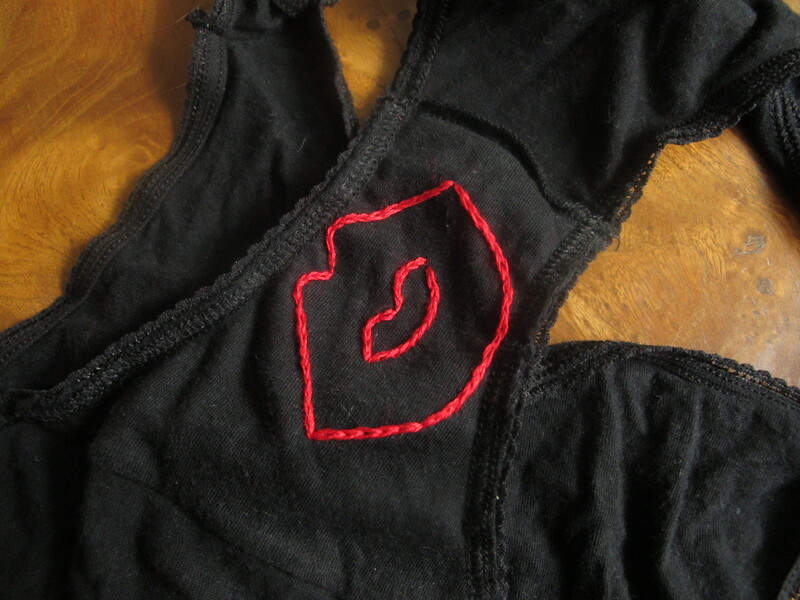 I sew myself a kisskiss, a symbol of acceptance. I make a treasure of trove. Cute. Are you a girl or a boy? !